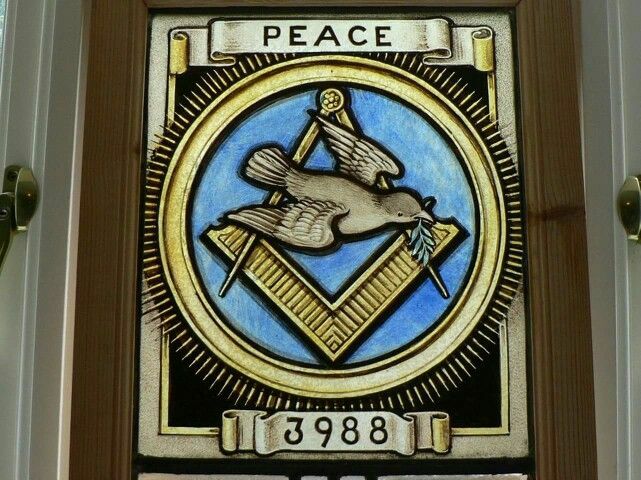 The Midnight Freemasons: What's So Funny About Peace, Love And Understanding? There’s a lot of discontent currently in our nation. It’s palpable on social media. Luckily, in our fraternity, we leave two leading causes of discontent outside of the inner door to our lodge room, namely politics and religion. But are we leaving our individual discontent at the inner door? I would argue that in my recent experience, we have not. One of the downfalls of social media is the ability to instantaneously communicate one’s opinion to a large audience. This often doesn’t allow one to think through one’s social media posts. We can instantly post something in a moment of emotional upheaval, and even if we quickly take the post down, there’s a good chance that some of your brethren might have seen it. Unfortunately, in the lodge room, we don’t even have the option to un-post an opinion. Once words are uttered to another brother they can be forgiven, but they are often not forgotten. I have two recent examples of disharmony in the lodge. The first example involves two brothers. One brother decided to speak while the other was answering the Worshipful Master. The brother who was interrupted took offense to this, and objected to the other brother interrupting him. The brother who did the interrupting felt that the other brother was wrong for objecting. This brother became so upset, you could see the anger manifest itself physically. In fact, we had balloting that evening, and the brother was protesting to me regarding it at the altar as I went to cast my ballot. I replied that technically the other brother was not wrong because he did interrupt him, and I asked him to practice brotherly love. I would love to say cooler heads prevailed, but luckily the brothers remained separated during the meeting. After the meeting, the brother who was physically upset abruptly left before sparks flew. The brother who was interrupted was going to discuss it with the other brother, but I felt that was probably not the wise course of action. 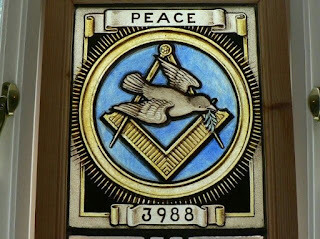 My second example of disharmony in the lodge also involves two brothers. One of the brothers was filling in a chair for the other, who was not present at the beginning of lodge. The brother who was not present finally knocked and was admitted to the lodge room about 20 minutes after lodge had started. When this brother came in, he glared at the brother who was occupying his chair. The other brother who was in the chair made a joke to the brother about being late, which was received with a flurry of expletives. The brother then decided to give the brethren in our lodge the double one finger salute. While he was on his tirade, the WM and SW were trying to get the brother to sit down on the sidelines and behave himself. We later found out the brother had been defrauded 4000 dollars that day, and he apologized for his actions and words. He also sought out the other brother later after the meeting and apologized again. Problem solved? I think the brother forgave him, but it leads me to my next point. What I’m about to say might be taken the wrong way, and I think that brothers might object to it. But I’m going to say it anyway. In the words of Ice Cube: ‘You better check yo self before you wreck yo self.’ What do I mean? (For those of you who don’t know who Ice Cube is, I’ll suggest a google search). If you’re coming to lodge with an attitude, you’re going to have a bad time. Do yourself and your brothers a favor and don’t come to lodge if you are unable to put your ego and emotions in check. I know, what I just said is considered blasphemy. There are lodges that are struggling to have a quorum for a stated meeting, and I’m suggesting this? Hear me out. If you’re bringing your baggage into the lodge room with you, then what are you really doing? Are we not reminded that Harmony is the strength and support of all institutions, especially ours while opening on the EA degree? If you’re coming to lodge and you’re going to disrupt lodge, then you’re going to cause disharmony. Is this fair to the other brethren? No, it’s not. If you can’t subdue your passions enough to put your attitude and ego into check, then you’re not able to meet on the level with your brethren. If you can’t meet on the level, then you probably shouldn’t be in the lodge room with others who can. Yes – I understand that tempers can flare. We are human after all. Which is why in Illinois we pray to the Supreme Architect at the beginning of our meetings to bless us so that the meeting can be conducted in peace and closed in harmony. But, ultimately we not only need to guard the west gate from Cowans and Eavesdroppers, but also from brothers intent on causing disharmony. I want to end on a broader point. If you’re encountering an issue that is impacting you on an emotional level, then maybe you need to reach out to your lodge before the meeting. Explain the situation to them. There is a good chance that one of your brothers has gone through something similar. They might be able to understand your situation, and empathize. I understand that everyone’s different, and there are some folks that might be embarrassed by doing something like this. But what is family for? When you become a Mason, you join a family. Family is there to support you in your times of need. Remember that your brothers are there for you as well. They will be more than willing to help you, if you let them. Let the trowel do its work of spreading brotherly love, and cementing our brotherhood.